I have always, always loved being surrounded by good smells. When jasmine starts blooming here in Florida, I’ll alter my running route so that I run through the most fragrant parts of the neighborhood. I’ve frequently been a user of scented candles and am always on the lookout for cool new aromatherapy products (like this necklace — so awesome!). But there’s a difference between using things that smell nice and taking advantage of the powers of aromatherapy, and it’s only in the last year or so that I’ve really begun to pay attention to what scents I’m using at different times and in different ways. For example, I work from home, so during the workday, I’ve been diffusing essential oil blends that help me stay focused and alert — those tend to include scents like rosemary, juniper, citrus, basil or mint. 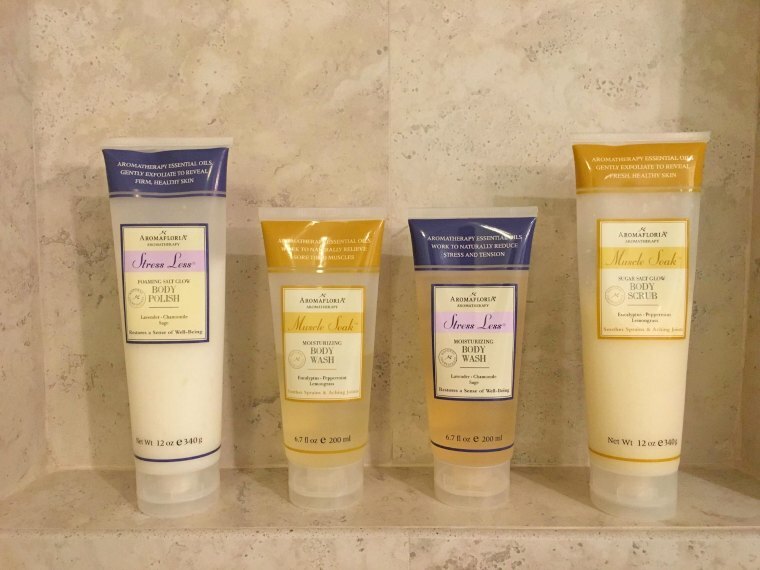 If I’m having a hard time settling down at night before bed, lavender is my go-to, but other scents like bergamot, frankincense and lemongrass can also have a soothing effect. And scents like patchouli, cedarwood and spearmint add a nice dose of tranquility to my yoga or meditation practice. That being said, let me be totally honest — sometimes I diffuse a certain scent strictly because I really like it and I want my house to smell that way. Hey, it makes me happy, and using fragrance to enhance a feeling is really what this is all about, right? 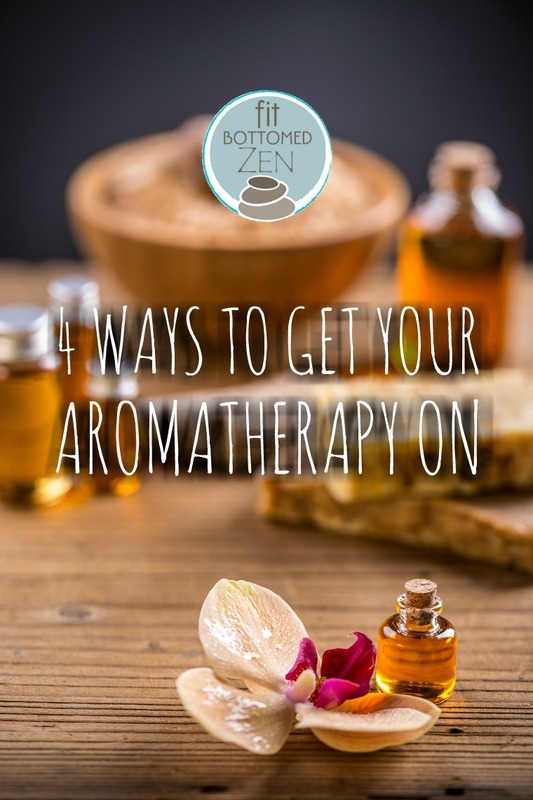 Of course, there are more ways to enjoy (and employ) aromatherapy than through a diffuser, so I’m sharing four aromatherapy products I’m currently grooving on (including my fave diffuser). If you’re interested in aromatherapizing (what? It’s probably a real word) your home, I can’t recommend getting a diffuser strongly enough. I’m using the Gurunanda Tower Diffuser ($40), and I think it’s great for a few reasons. It’s super simple to use (just pour in water to the line, add a few drops of the oil of your choice, plug it in and hit a button), and it has two options (continuous, which gives you a couple of hours of use, or intermittent, which gives you closer to five hours of use). It automatically shuts off when the water gets low, and the changing light at the top of the tower gives off just a subtle glow. And, the Gurunanda essential oils and oil blends are, as far as I’m concerned, seriously on point. If you have some oil knowledge, you can get single note oils (meaning straight up lavender or grapefruit), or, if you just want blends that give you an overall feeling but aren’t sure what specific oils to use, check out the blends — they have names like Calming Sleep, Invigorate, Focus and Loving Moments, which makes life super simple for aromatherapy newbies like me. Some showers are quick, get-down-to-business affairs, but shower time can also be a perfect opportunity for some mindfulness. After all, it’s difficult to multitask in the shower, so why not embrace the chance for some serious me time? Essio’s Aromatherapy Shower Kit ($44.99) takes this to a new level. It’s easier to set up than you’d imagine — it just clips onto your shower head and you adjust from there, no tools necessary. 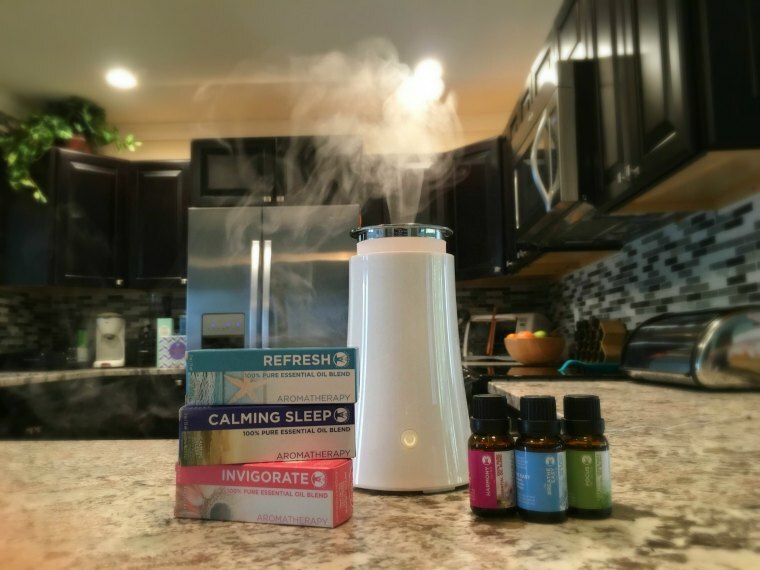 The starter kit comes with three essential oil pods featuring different blends: Breathe, Passion and Unwind (with three other options available as refills). 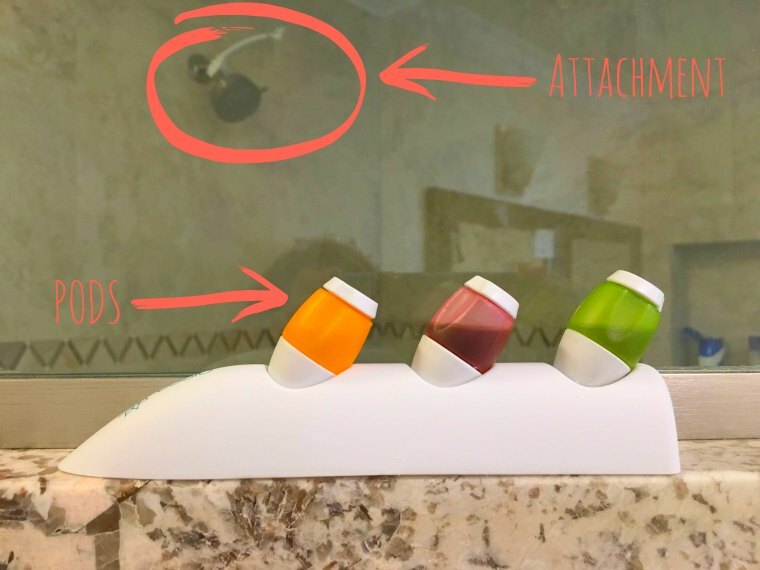 The attachment holds the end of the pod just barely within the stream of your shower, and for such a little pod, the effect is huge — my shower felt easily 80 percent more spa-like in no time flat. The fragrance is noticeable but I didn’t find it overwhelming, and it doesn’t leave any oily residue on my skin or in my hair. When not in use, you tilt the attachment up and either remove the pod or adjust it so that it’s horizontal (and therefore not dripping any oil when the shower isn’t on). A pod is designed to last three to five showers (or, if you don’t linger, even more! ), and Essio offers a subscription service ($16.99 for a four-pack) so you can always have new pods ready to go. This is just about the easiest shower upgrade ever — I’m thinking about getting one for my guest bath, too, so that my guests can enjoy it! But one note — the attachment didn’t quite work on my overhead rainfall shower head (talk about first world problems, I know), so if you don’t have a traditional shower head, it might not be right for you. 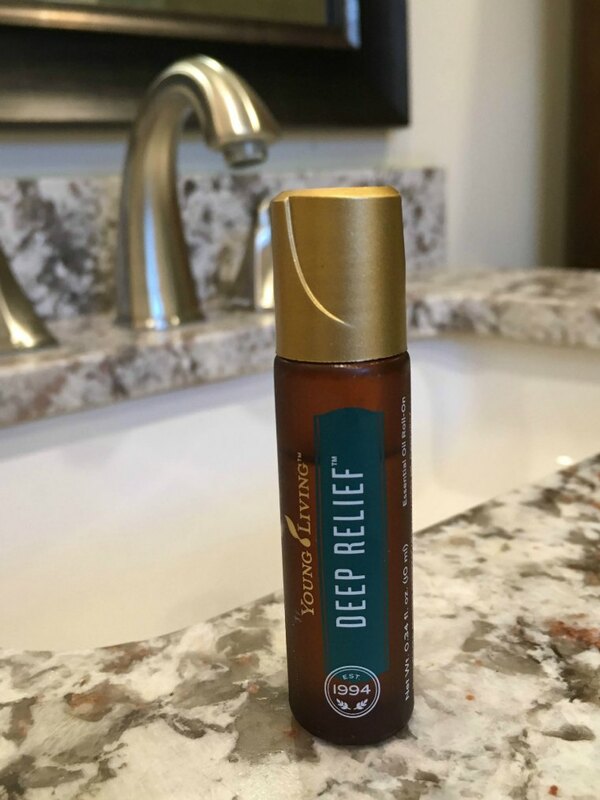 So, having all these awesome products for my home and bath is great, but I’ve been doing a decent amount of traveling, so it’s nice to have something I can take with me — and even carry on the plane — and that’s where my Young Living Deep Relief Roll On ($35.20) comes in. The peppermint-based blend is energizing and refreshing, so it’s great for a pick me up, but it also has some majorly fabulous muscle-relaxing magic, so rolling it along my neck or shoulders when I get a little tense feels incredible. The scent is noticeable to others, so be sure to take care with how much you use when you’re heading into close quarters with other people (like a movie theater, plane or the gym). It’s a tiny bottle — just .34 oz. — but I’ve been using mine generously for weeks and I’m not even a quarter of the way through, so if you’re worried about it being a splurge, it might be a better deal than you think!